Feed 1 Bag shows the love. 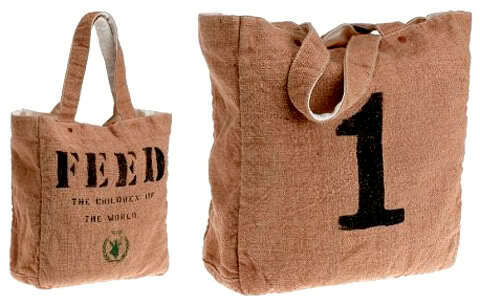 This feed 1 bag is not only super durable and stylish -- it feeds 1 child in Africa a whole year of school lunches. Now you tell me, how amazing is that? I personally have this exact bag, have had it for almost 4 years now and it's my go-to bag for all. I still use it as a diaper bag, a weekend travel tote and a book bag on occasion. Did I forget to mention that it is reversible? If you'd like to put your money to good use, go here and purchase this bag for $70.00. If not, still check them out and see what they're up to.